Probably Nothing is, when you initially read the summary, a depressing concept. Nine months of pregnancy compounded by bowel cancer, you think. Or perhaps vice versa. How awful. 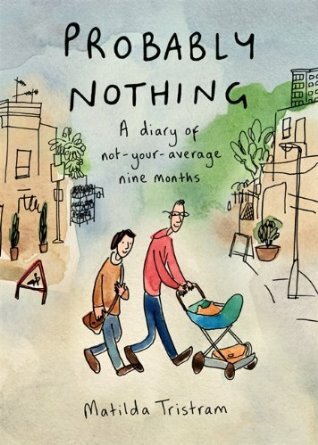 The graphic novel is a simplistically drawn diary-like account of having cancer and being pregnant. Matilda’s experience could probably be a good insight for anyone with cancer or for a woman who is pregnant. The graphic novel is exhaustive — though the drawings are not detailed, the detail Matilda goes into about her life throughout these circumstances is extensive. It becomes evident through her experience that having cancer and being pregnant has taken over her identity. She mentions her former job description of teaching animation once. However, it is an intercession that is surprising and incongruent with the perception the reader forms of her in the initial pages of the book. It is clear that cancer has made her dependent on others and pregnancy furthers that dependence. When her child is born, some of that dependence starts to wane, she begins to mention her career again, and of course her child is now dependent on her. 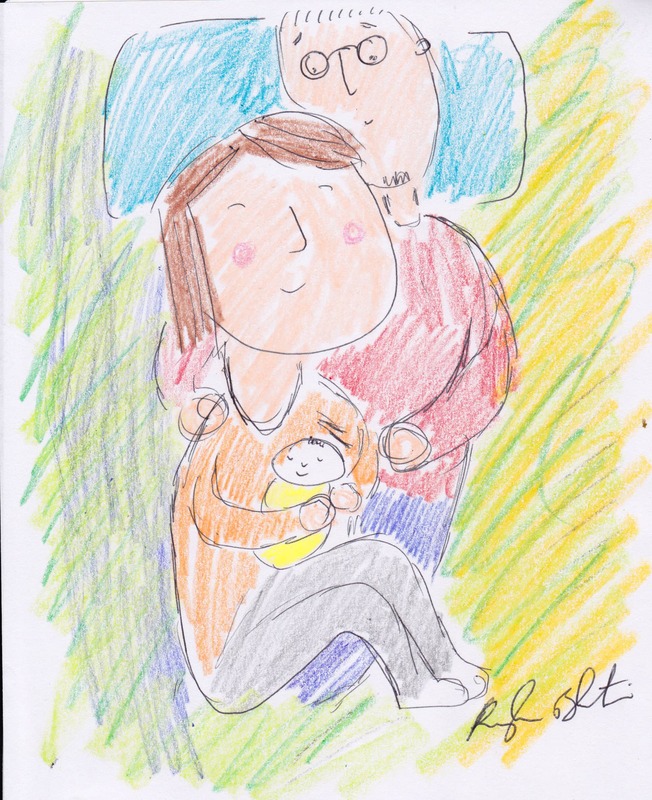 It seems that her newborn helps her return to some semblance of normalcy, but of course, she can’t be completely normal again until her scans come back clear. Reflecting on this comic book, it would be a great read for someone trying to understand what they might have to go through with cancer. They might have to become advocates for themselves — indeed at one point, Matilda nearly dies from something doctors aren’t able to catch until she and her husband are positively nagging them for an MRI. The entire thing takes place in London, so of course there will be geographic and cultural differences, but the book will provide emotional solidarity to those having to go through the experience of having cancer and undergoing chemo. Matilda doesn’t shy away from topics like bowel movements, difficult decisions she has to make about her care, or even mundane things like ordering colostomy bags. In its almost monotonous, diary-like approach, dealing with the “boring” facts of real life, the book is infinitely engaging. When you have an illness, that’s what you want to know — you want to know how you will survive each and every day. When a woman has survived such a seemingly hopeless situation, my curiosity leads me to ask how she lived her day to day life. As a future doctor, satiating this curiosity takes on another dimension, because I hope to successfully guide my patients in navigating the emotional repercussions of physical illness and its treatment. This book is highly satiating in that regard.Matilda also seems to invite others to use the method she has for coping. Her illustrations, after all, are nothing that elicit feelings of unapproachability; with her simplistic style of drawing and the colors that leave the lines, she seems to be remarking that anyone can do it. Daily Mail story about Probably Nothing here.